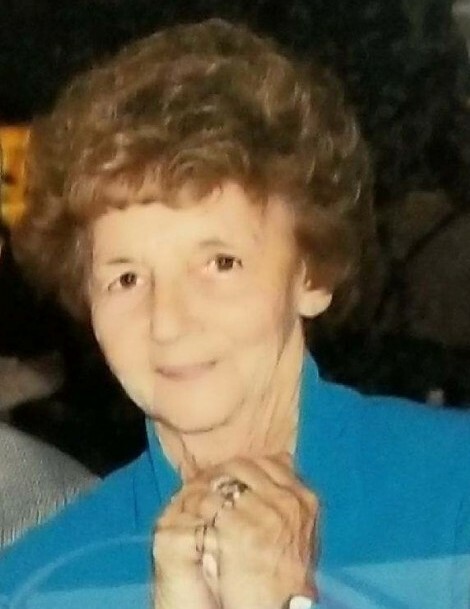 Newport, NH: Beverly J. Zullo, 88, passed away at New London Hospital on February 10, 2019 after a period of declining health. She was born on February 13, 1930 in Newport, NH to the late Olin and Aleada (Bell) Perry and has lived here her entire life. Beverly married Patrick Zullo and they shared 70 years together, raising 3 daughters. Beverly loved spending time with her children and grandchildren. She enjoyed vacations with her family and Sunday family picnics. She liked to cook, read, and do word searches. In her later years, she and Patrick did a lot of travelling. Beverly also regularly attended lunches at the Newport Senior Center. She is a longtime member of St. Patrick Catholic Church. Beverly was predeceased by her husband, Patrick Zullo in 2017, parents, and brother, Olin Perry, Jr. Surviving family members include her daughters, Sandra Audet and her husband, James, of Bow, NH, Adrianne Robertson of Newport, NH, and Patricia Heath and her partner, Frank Fratzel, of Newport, NH, grandchildren, Krista, Nicole, Tara, Craig, Courtney, Terry, and Matthew, 12 great-grandchildren, and many extended family members. In lieu of flowers, memorial donations may be made to the Newport Senior Center, 76 South Main St., Newport, NH 03773. Calling hours will be held on Sunday, February 17, 2019 from 1 to 4 PM at Newton-Bartlett Funeral Home, 42 Main Street, Newport, NH. A Mass of Christian of Burial will be held on Monday, February 18, 2019 at 10 AM at St. Patrick Catholic Church in Newport with Fr. Michael Monette, celebrant. Burial will immediately follow in St. Patrick Catholic Cemetery.